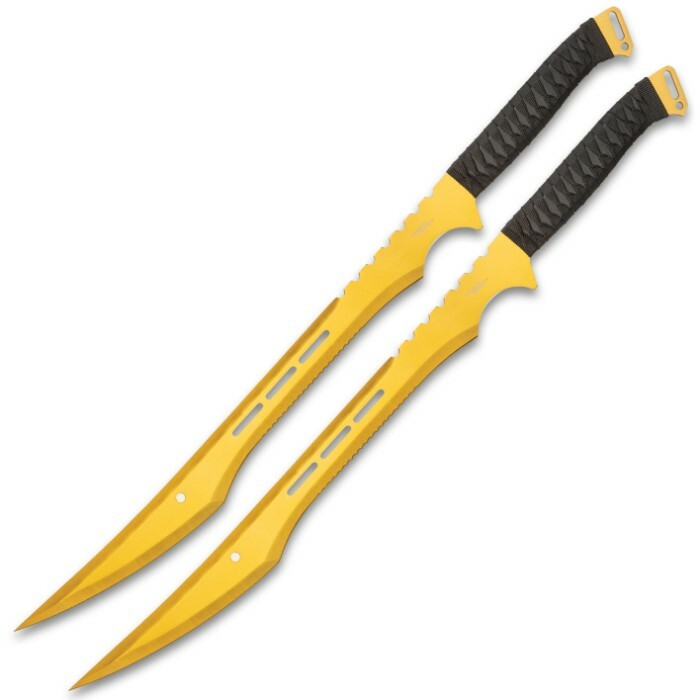 Our Gold Ninja Samurai Machete Set makes a great addition to your fantasy weapon armory. 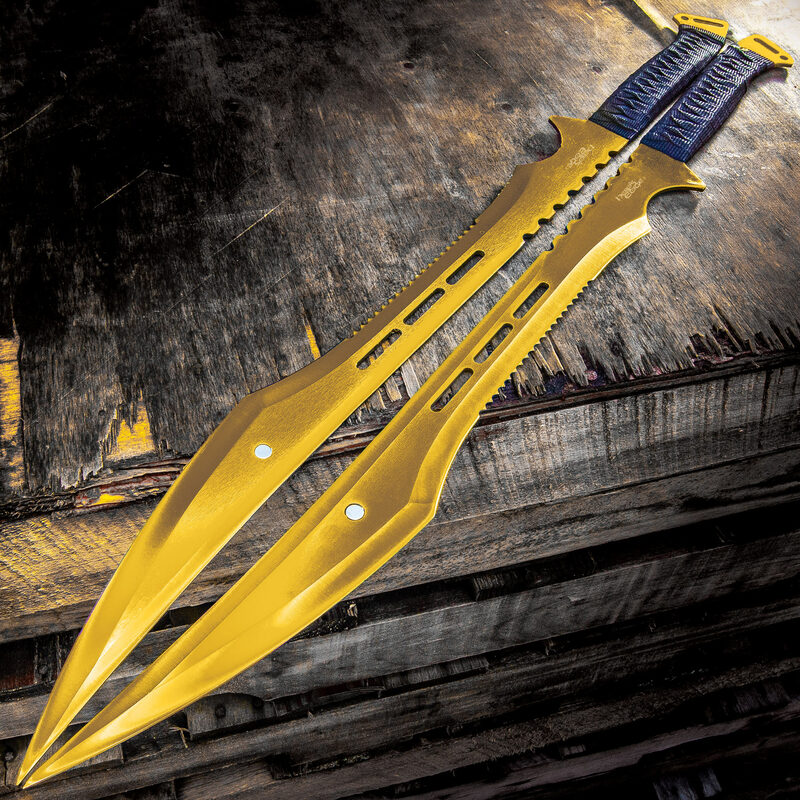 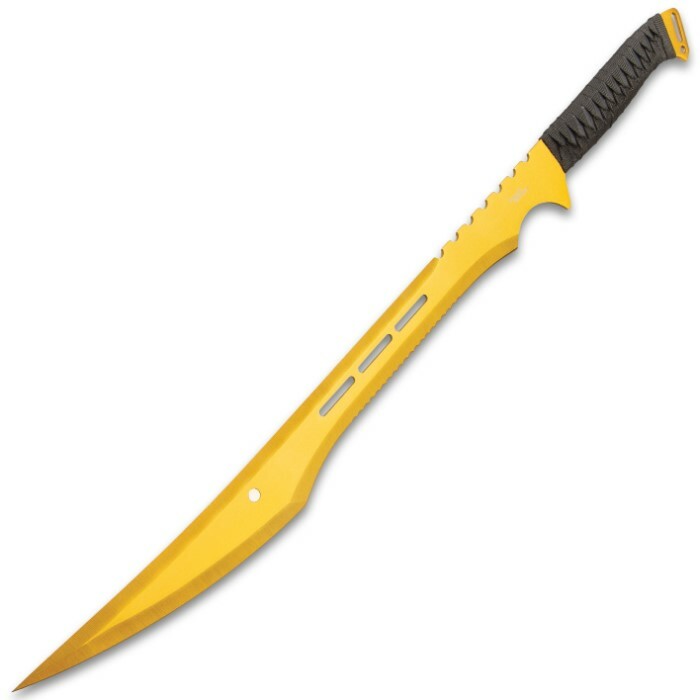 Not only are they striking to look at with their gold finish but each fantasy machete is made of one piece of stainless steel and has a partially serrated, 19 1/2” keenly sharp blade. 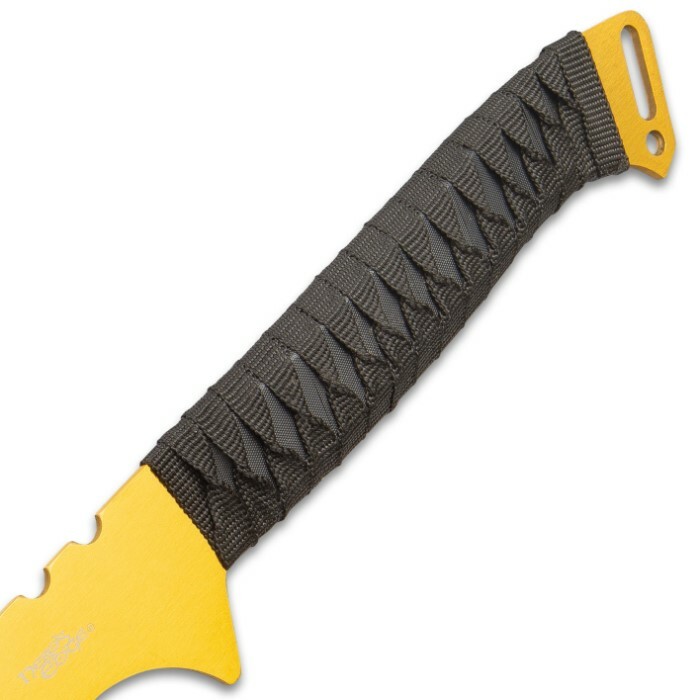 There are weight-reducing slots and partial notching on the spine, leading to the nylon and faux rayskin wrapped handle. 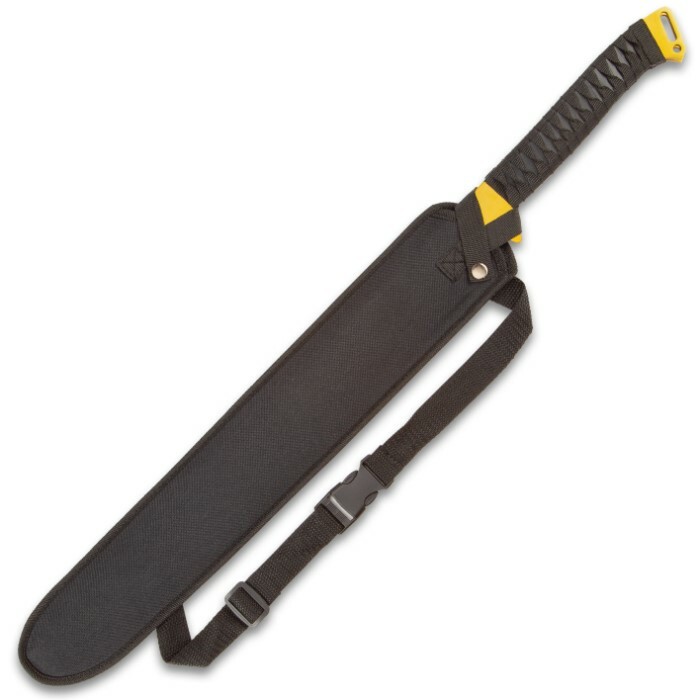 The 26 3/4” Samurai machetes can be carried in their sturdy nylon sheath, which has an adjustable shoulder strap.